Happy Friday! I made you muffins. Delicious, fluffy, hearty, tart and sweet muffins. These are SERIOUSLY good. So good, I ate 5 of these bad boys in the space of 24 hours. They are getting absolutely demolished. If they survive tonight or tomorrow, I will be surprised. I had made plans for what I wanted to bake this week, generally revolving around chocolate, caramel, Milky Ways, cheesecakes… Decadent and chocolate based desserts. I had a plan, I had a post in mind for today and then a trip to the grocery store changed my mind. I saw fresh raspberries for $1.88 a package with the store card instead of the usually $4. In that moment, I did not hesitate. I picked out the best two looking packages (I wanted to get more but I had to be reasonable..) and scurried home, trying to figure out what exactly to make. 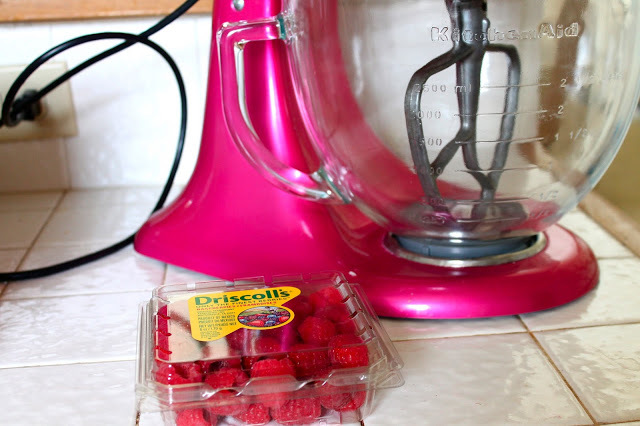 Oh, and raspberries with a Raspberry Ice KitchenAid Stand mixer? So cute. 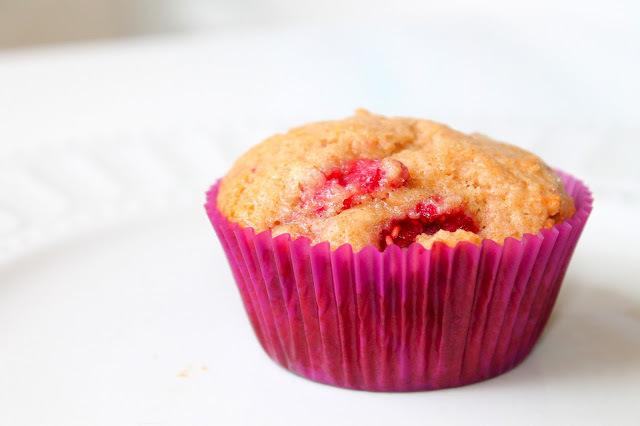 I did some research and then found these brown sugar raspberry muffins on Confections of a Foodie Bride. And I knew instantly. I was making muffins. Now, these muffins go against my personal feelings about fruit in baked goods. I generally believe that fruit shouldn’t be in baked goods. There are, obviously, some exceptions like having cake in sweden with fresh whipped cream and hand picked strawberries. And.. well, I think it’s just that I don’t mind berries in baked goods but other fruits are questionable. I think the biggest fruit disappointment is raisins. Oatmeal chocolate chip > oatmeal raisin. Any day. I digress. 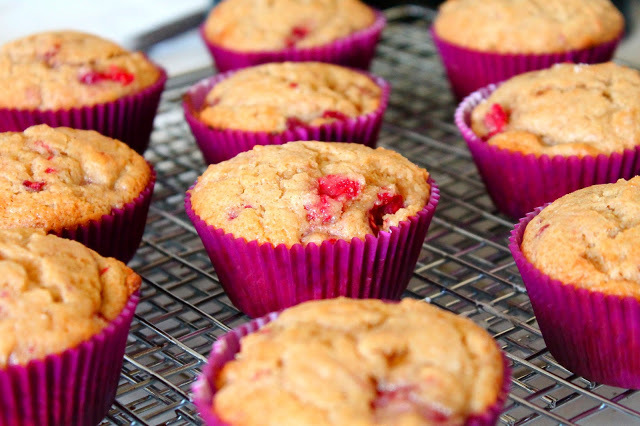 These raspberry muffins.. Oh dear they’re delicious. 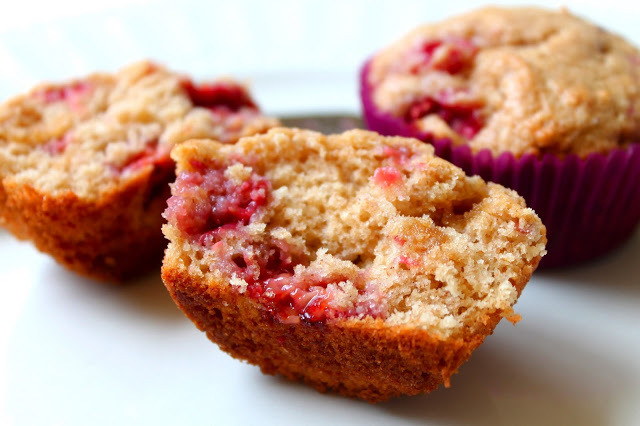 The brown sugar and the cinnamon give them a nice hearty earthy warmth and with the raspberries provide the perfect pop of tarty sweetness throughout the muffin. Just look at that picture up there. Now think of yourself. Don’t you want these? 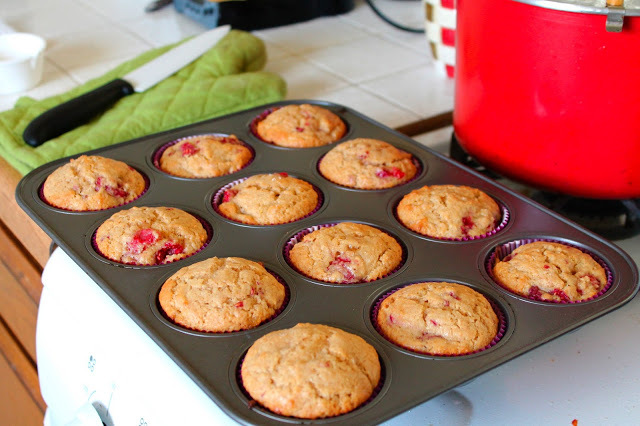 Preheat oven to 400 degrees F. Put cupcake liners in a muffin tin or spray with non-stick spray. In the bowl of a stand mixer, combine butter, brown sugar, milk and egg on medium-low speed until well combined. In a separate large bowl, whisk together the flour, baking powder, salt, and cinnamon. Add the dry ingredients to the butter and milk mixture, and mix until just combined. 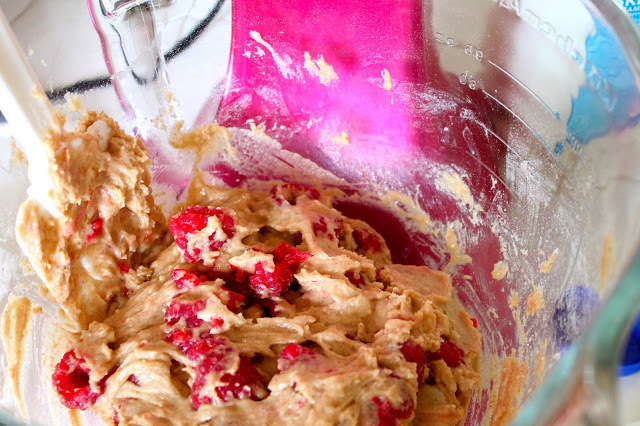 Fold in raspberries. Evenly divide the batter into the 12 cups. Bake 15-20 minutes, until golden brown and a toothpick comes out clean.